The Shells do look good and it's it clear that all of the time and effort Mike put in to the design has paid dividends. You are right Dave , the shells do look good . Shiney bodies always do . I have to question the time and effort put in to the design though . A little History lesson for you - Sammio were commissioned a few years back to build a Sammio on a Spartan chassis . The layout of the steering , pedals etc meant that a stock Sammio wouldn't fit . It was discovered though that a Cordite body fitted putting the cockpit in the right place but left a huge gap between bonnet and bulkhead. Gary J made the decision to lengthen the bonnet at the rear to give the vehicle a longer nose . So at this point we have a Cordite bodied , longer bonneted Sammio with set back pedals and steering - all created by Sammio Motor Cars . The customer took ownership , was happy with the design , but after a few months decided it wasnt going to get built , offering it back to Sammio as they may have been interested in finishing ...Mike bought it. He then proceeded to perform his bodyworking skills and straighten most of it out , not everything as any Miglia builder will know , but made it a lot better than a Cordite . The portholes that had been pidgeonholed from the G46 project were added to the blank area of wing that looked too long and hey presto !! The original Spartan chassis'd car is the one that reputedly sold in Germany for an awful lot of money a few years back . I know it's horses for courses but I've always had one big reservation about the Miglia version of the rebody concept, and that's the fixed bonnet. Any car like this is going to need some fettling or modification, whether home built or turn-key from the maker. So far, in 30 months on the road I've had the engine out twice - once to fit a new clutch and once to fix an oil leak from the engine front cover plate - and I've replaced the radiator and changed the cam with the engine in-situ. All that work was made particularly easy due to the fantastic access afforded by the clamshell bonnet, which can be completely removed in ten minutes for even better access if necessary. I was able to do a lot of the really fiddly stuff, particularly timing in the new cam, while sitting on the front wheels. Try dong that in a car without a clamshell front end! I understand that there's quite a sizeable access panel in the Miglia bonnet, but I still maintain that an amateur mechanic (and even a lot of pros) are going to struggle to remove and refit an engine to a finished Miglia without damaging the paintwork, never mind the bad back you'll get leaning over the opening trying to access stuff in the engine bay. You pays your money you takes your choice. Oh, and I've sorted the wiring out since that last shot was taken, it's all properly loomed and the lights now have quick release connectors fitted. Last edited by Mister Towed; 7th February 2016 at 08:46.. Tribute - Apologies for the thread hi-jack below Chris, but the first Speedster body shell looks good. My understanding from reading various Miglia build threads is that is is the internal framework than could do with some tweaks. So Mike deserves no credit for the Miglia's design, because it is based on a long nose version of the Cordite that was designed by Gary and created by Sammio Motor Cars? Which by your logic surely means that Gary J and Sammio Motor Cars should also be given the full credit for the time and effort that went into the design of the original Cordite too? Rather than a history lesson, why don't you give us a honesty lesson regarding the number of different user names someone should have on the same forum? The very checkered history of Sammio/Ribble/Miglia is well documented and often repeated on this forum by many different people from many points of view and professional standpoints. I know that everyone is aware of the various "issues" that the Sammio/Miglia bodies have, which were made even worse in the case of the Ribble Navigator "make over" (I have Andy Powell's permission to destroy those body moulds, which are currently buried under a stack of other moulds at my workshop). 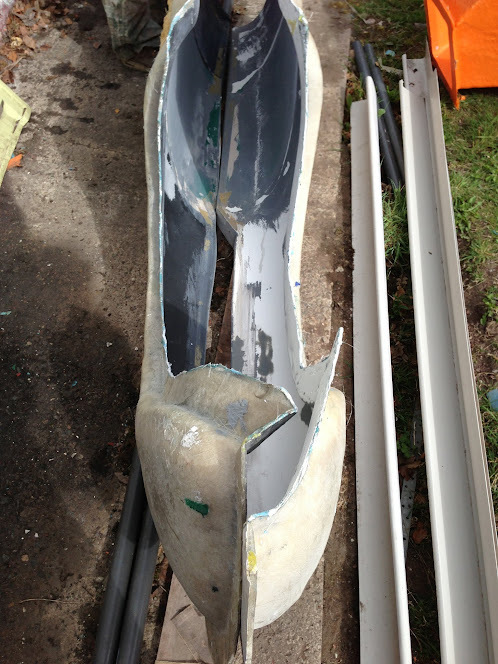 Out of interest I will dig out the Ribble/Sammio moulds and put them next to the Miglia moulds and post some pictures up. Having had the chance to look at a Miglia body first hand after producing one at the Tribute workshop, it is now clear to see honestly that it is what it is, a smoothed out stretched Sammio Cordite body with the flip front bonded on and a bonnet opening added. That said, after all the previous troubles and mud slinging in the past, it is very important to remember that it is (and always has been) possible to build a very good looking period sports car from a Sammio or Miglia kit, even without major alterations to the bodywork. There are many, many examples of finished cars on this very forum that show this. Mike Moore is now offering the Sammio Spyder bodies for sale too, there is still interest in the original Concept, and I believe as long as donors can be found there always will be. As of Friday the Miglia frame jig (including a Basic Frame) was delivered to my workshop. When time allows I will assess what needs to be altered, if anything, and offer the Miglia Kits for sale at a price which I feel is realistic. Last edited by Tribute Automotive; 7th February 2016 at 09:53..
Any update on when kits will be available, pricing, etc? As far as I know, kits are available now from Tribute, but I couldn't tell you the price. I also know Chris @ Tribute is very busy, but there is no harm in giving him a ring / email / PM. Contact details on the Tribute forum "next door". Bodies are available from Tribute as of now ...I believe they are £1600 but please check with Chris at Tribute . All times are GMT +0. The time now is 14:12.